According to reporting from NBC 6 South Florida, an independent civilian panel is preparing to review the police body cam footage of a “rough arrest” that occurred nearly two years ago. The footage of the 2017 incident — newly released to the public — shows a suspect in an armed robbery case being arrested in a highly physical manner by police officers. Most disturbingly, one officer appears to have kicked the suspect in the head. Here, our Miami criminal defense attorneys provide an overview of this case and explain the role of the independent panel in the review process. The video of the arrest is somewhat difficult to process. Among other reasons, the body cameras of the officers are obstructed. It should be noted that one officer was accused of intentionally covering up his personal body camera with his hand. In response to those allegations, the officer stated that the covering of the camera was unintentional — he claims he was resting his arm in that position because he was tired from chasing the suspect. This arrest has already been reviewed by the Miami Police Department. Indeed, the officers were previously cleared of misconduct by an internal review process. Now, the arrest is set to be reviewed by Miami’s independent civilian oversight panel. What is Miami’s Civilian Investigative Panel (CIP)? The authority to issue reports on its findings to the public. To be clear, if the Miami CIP determines that misconduct occurred in relation to this ‘rough’ arrest, the panel does not, by itself, have any legal standing to initiate a prosecution or take administrative action against officers. Instead, the role of the panel is to help ensure that independent and impartial investigations of the Miami Police Department are able to occur in a transparent manner. If the CIP determines that misconduct occurred in this case, it will be incumbent on Miami city officials and the leaders of the police department to take the appropriate corrective action. Those leaders will have to decide whether or not they will comply with any CIP recommendations. Were You Arrested in Miami-Dade County? Our law firm can help. At Ratzan & Faccidomo, LLC, we are compassionate, aggressive advocates for our clients. 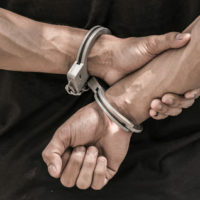 If you or your family member was arrested, you need a top attorney on your side. To arrange a free, fully confidential case evaluation, please call us today at 305-600-3519. We represent clients in Miami and throughout South Florida.